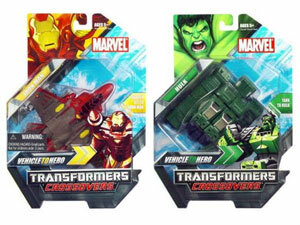 What happens when you cross over Marvel superheroes and Robots in Disguise? Vehicle to Heroes that is what! Collect your favorite superheroes or villains as they go from Vehicles to Hero: Iron Man, Hulk, Spider-Man, Venom, and more.